After the global launch in New York on 29 October, the smartphone will launch in India on 30 October. Just a few hours from now, the OnePlus 6T is scheduled to be launched globally at an event in New York, followed by a launch in India on 30 October. You can watch today's launch event live here. Thanks to the OnePlus CEO Pete Lau, who till now has teased and let out a bunch of details about the smartphone, there is still a lot we don’t know for sure about the OnePlus 6T. As of now, we know for a fact that the OnePlus 6T will be powered by the Qualcomm Snapdragon 845 chipset, it will feature an in-display fingerprint scanner, it will come with a waterdrop notch on the front and that OnePlus will be dropping the 3.5 mm jack on the phone in favour of “improved battery life”. However, below are all the bits about the OnePlus 6T that have been rumored so far, and may or may not make it to the final device. OnePlus 6T is expected to come with an updated 6.4-inch display with a resolution of 2,340 x 1,080 pixels instead of the OnePlus 6's 6.28-inch display with 2,280 x 1,080-pixel display. Per the leaks, the phone will come in three variants, a 6 GB RAM version with 128 GB storage, an 8 GB RAM variant with 128 GB storage and an 8 GB RAM version with 256 GB storage. 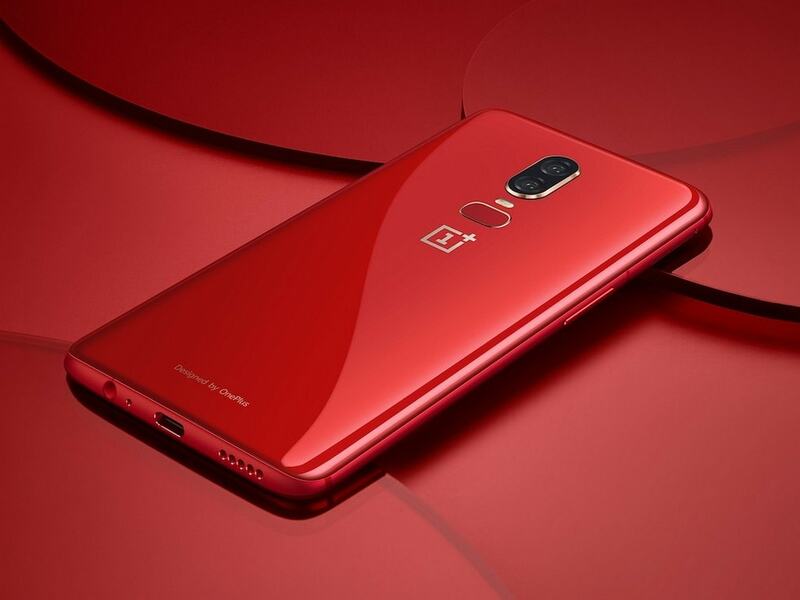 Further, the new 6T is said to pack a battery capacity of 3,700 mAh, which is 400 mAh more than the OnePlus 6 battery. In terms of camera, the OnePlus 6T is believed to sport a 20 MP front-facing camera with a f/1.7 aperture instead of the 16 MP sensor in OnePlus 6 with f/2.0 aperture. The selfie camera seems to be hidden under the notch. Additionally, the OnePlus 6T is confirmed to be water resistant to a certain extent (just like the OnePlus 6) but it’s not going to be IP certified. The company recently said that it wasn’t worth the additional cost of getting an IP rating certificate for the device. Further, even this year, we won’t be getting wireless charging on the device. According to a teaser on Amazon India, the OnePlus 6T will be going up for sale in India starting 1 November. In case you want to pre-order the OnePlus 6T, Amazon India, and OnePlus offline stores are already taking bookings.